Size 8mm. 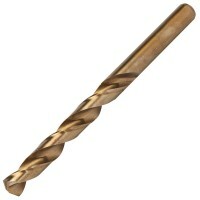 1 drill bit per pack. HSS precision ground from M35 high speed steel ba.. Size 10mm. 1 drill bit per pack. HSS precision ground from M35 high speed steel b.. Size 3mm. 2 drills per pack. HSS precision ground from M35 high speed steel bars .. Size 6.5mm. 1 drill bit per pack. HSS precision ground from M35 high speed steel .. Size 9mm. 1 drill bit per pack. HSS precision ground from M35 high speed steel ba.. Size 11mm. 1 drill bit per pack. HSS precision ground from M35 high speed steel b.. Size 11.5mm. 1 drill bit per pack. HSS precision ground from M35 high speed steel.. Size 12mm. 1 drill bit per pack. HSS precision ground from M35 high speed steel b.. Size 13mm. 1 drill bit per pack. HSS precision ground from M35 high speed steel b.. Size 7mm. 1 drill bit per pack. HSS precision ground from M35 high speed steel ba.. Size 3.5mm. 2 drills per pack. HSS precision ground from M35 high speed steel bar.. Size 9.5mm. 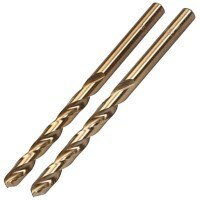 1 drill bit per pack. HSS precision ground from M35 high speed steel .. Size 7.5mm. 1 drill bit per pack. HSS precision ground from M35 high speed steel .. Size 8.5mm. 1 drill bit per pack. HSS precision ground from M35 high speed steel .. Size 6mm. 2 drills per pack. HSS precision ground from M35 high speed steel bars ..